Kodak has nothing on this! What better way to show off The World’s Image Center than with a beautiful picture of the city’s skyline at night? 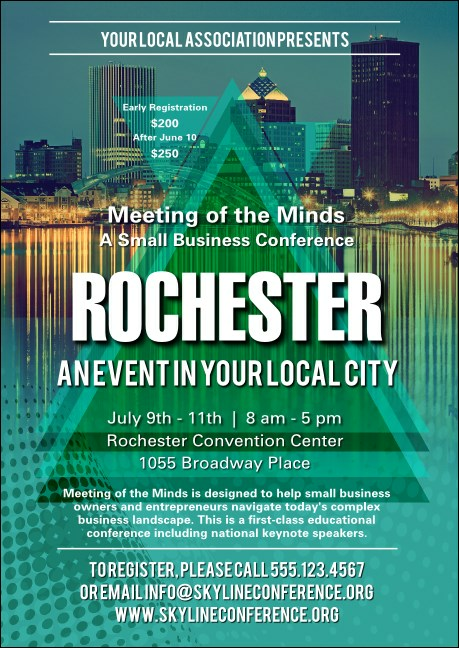 Print Rochester Postcards and send them out to your guest list in advance for a great turnout. Customize nineteen lines of text with all your Upstate event details. TicketPrinting.com helps Western New York looks its best.